The holidays are right around the corner! Are you shopping for a toddler? 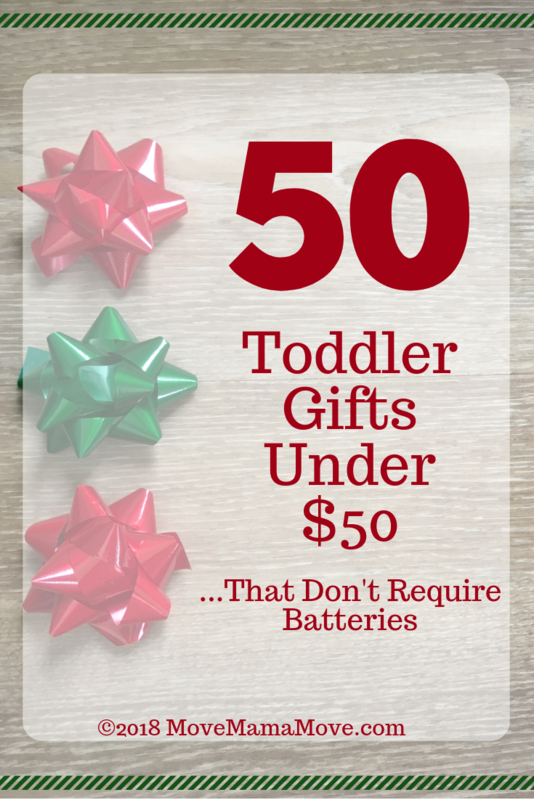 Here is a list of 50 gifts for that special toddler, all under $50 for the budget savvy shoppers! The best part? 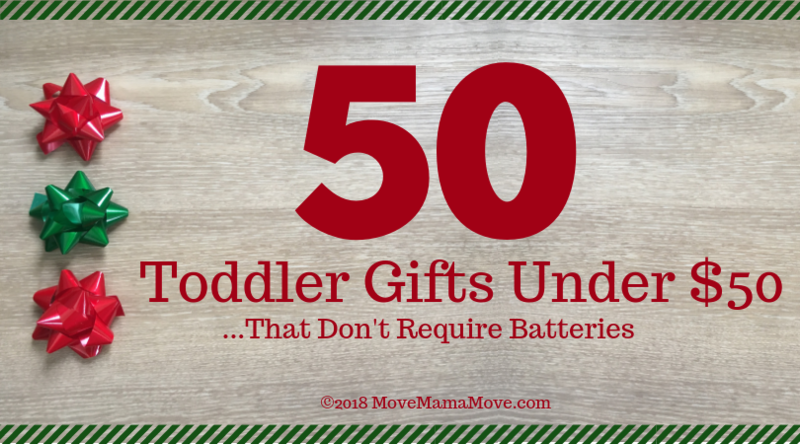 None of these gifts require batteries! There you have it. 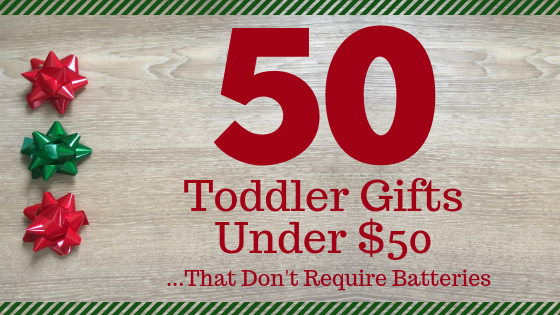 Fifty gifts under $50 for your toddler. 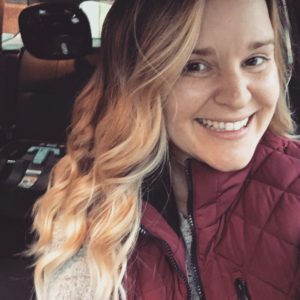 Cheers to simple shopping that stays under budget! Great gift ideas! I have a granddaughter that will be two in February. I almost bought her a sit n spin for Christmas because she loves to spin but decided I should probably wait until next year. I’m going to check out the musical instruments. I think she would really like those as well! The bath pipes are pretty cool. I had never seen those before. Thanks for sharing! I just got the bath pipes for my son and he LOVES them! Simple, yet sparks some creativity when he is playing at bath time. The sit n spin is definitely on my list of things for the future.